Home Animal Book Cockatoo, Too! 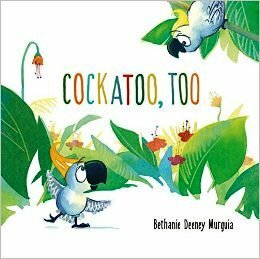 Anyone who loves a play on words will love author Bethanie Deeny Murguia’s new picture book, Cockatoo, Too—a little book that manages to make the biggest ruckus with only a three or four word vocabulary. The book opens with the introduction of a bright-eyed, unassuming little cockatoo and one profound word: cockatoo! Then another cockatoo joins it and the reader sees the words: cockatoo, two? And when the second cockatoo gazes at the first and queries, “Cockatoo, too?”— things go happily haywire from there. Young readers see the words ‘Two cockatoos!’ and ‘Two cockatoos, too?’ (when more cockatoos join the first two), and even ‘Cockatoo tutus’ (when two cockatoos frolic in adorable tutus). Ms. Murguia’s clever use of tongue-twisting homonyms and other word play makes for a fun and unique little picture book. The illustrations are adorable and full of big-beaked cockatoos frolicking amidst lush foliage of orange, green and blue—a combo that may very well conjure images of Toucan Sam following his nose to an enticing bowl of fruit loops. 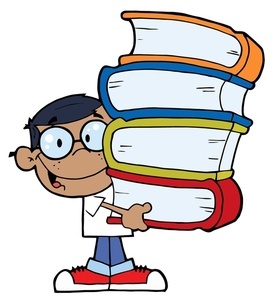 Great for an evening of fun on a parent’s lap, or as a supplemental reading lesson to stimulate a young child’s vocabulary.